I’m curious about what makes a great music instrument. Have you ever wondered why certain instruments are so popular and people find new ways of creating music on them decade after decade? While other, possibly more interesting or technologically advanced instruments seem to get forgotten or dismissed as inaccessible. As I look at our current landscape of interfaces for musical expression, I’m struck by many poor attempts that seem to be driven by an engineer’s motivation to build something new but not ask the important ‘why’s questions of the possible target user of the new interface. If the process of inventing a new instrument is driven by an engineering mindset it lacks the end user/musician’s perspective and we can probably all think of examples of bad user interfaces that lack a good UX process. I’ve been thoroughly enjoying the book “Push Turn Move” by Kim Bjorn about interface design in electronic music and the interview with Jesper Kouthoofd of Teenage Engineering is really refreshing like their products. 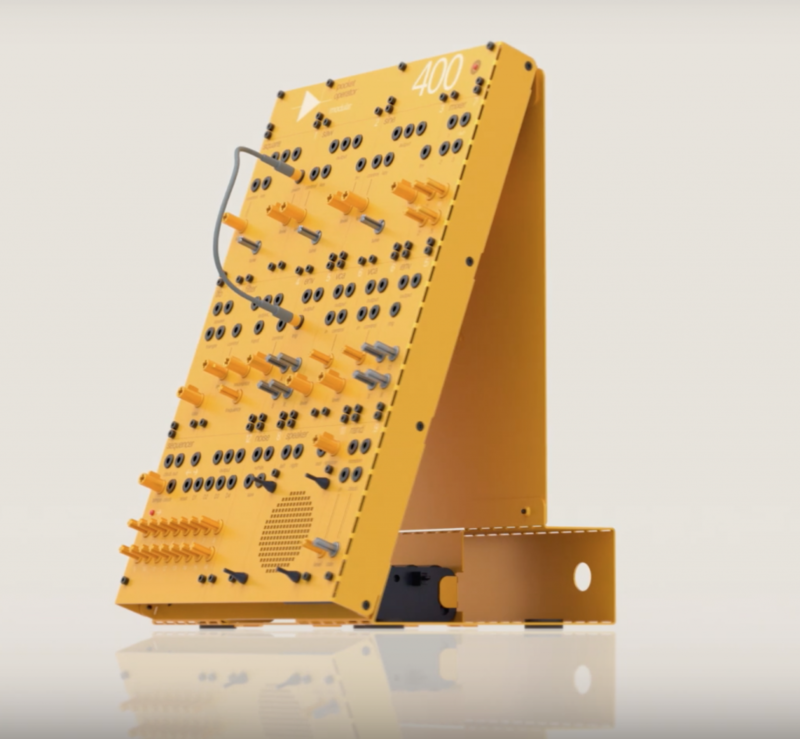 Teenage Engineering a small Swedish company based in Stockholm that seems to be knocking them out of the park with each product they release, starting from their OP-1 to their Pocket Operators and now their newest offering, the PO Modular. What makes Teenage Engineering’s approach so unique and effective? Let’s take a more detailed look. If you’re not familiar with Teenage Engineering’s products you’re first impression might be that they’re small and quirky, even toy-like. 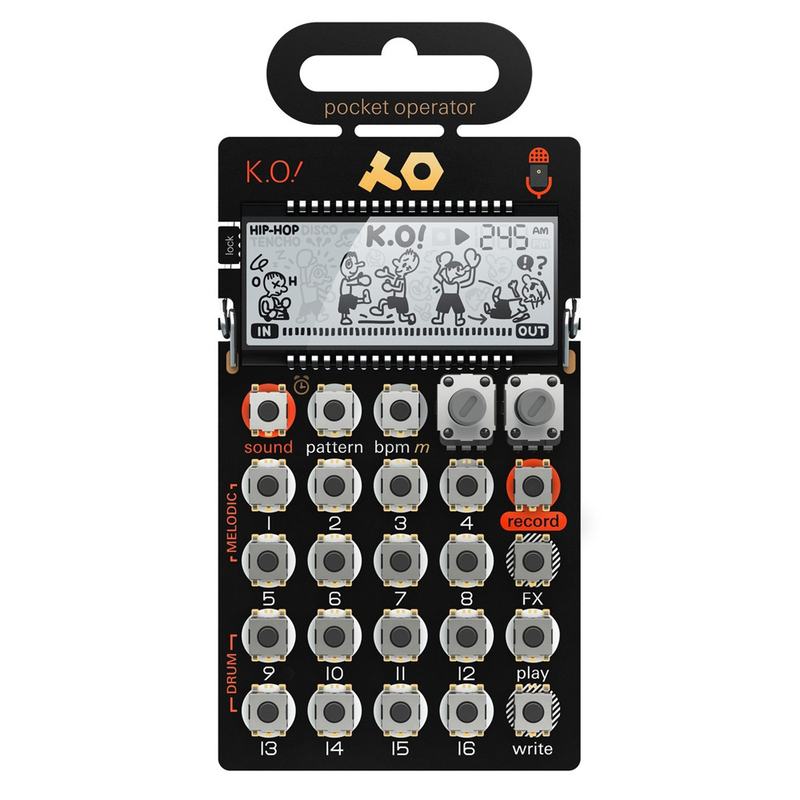 But although the playful approach to their interfaces is at times funny, with the PO-33’s onscreen boxers, PO-12’s sewing machine and PO-14’s submarine, the overall design strategy is welcoming to the new user and diffuses any intimidation that one may have to approaching a synthesizer with many buttons and sliders. Although there tends to be quite a lot of buttons and controls Teenage Engineering has a very minimalist approach to their interaction design. 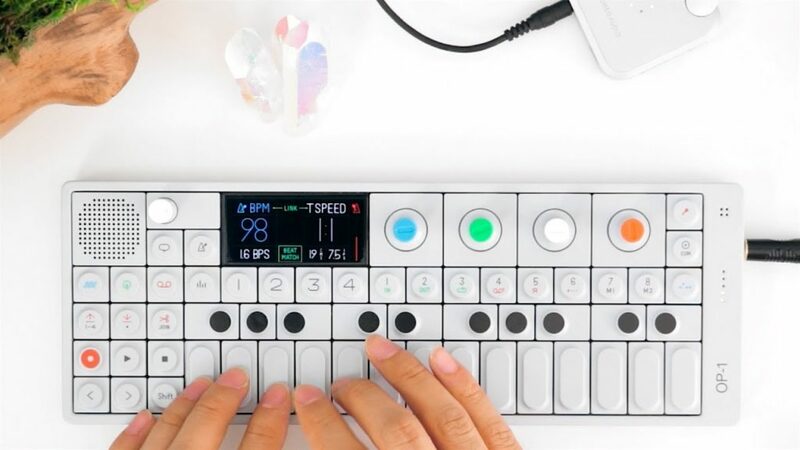 All of the controls are tactile and well organized, the end result is most people can end up creating music loops and have fun within the first few minutes of playing around. You can’t say that about a lot of new instruments. “To be honest, we are not interested in design at all, it just needs to work”. Although one would argue that making their products ‘ugly, funky and raw’ is actually a very intentional design aesthetic, I agree wholeheartedly to the second part of that Jesper says. TE’s products have a lot going for them, it’s no surprise that the small company has been asked to collaborate with international giants like IKEA. We could look more closely at their industrial design approach but I think there maybe more to learn from their interaction design strategies. Their projects seem to all be smaller than you’d expect. According to the interview portability was always an important objective for the Swedish company. “When you didn’t have money, it was things like a TASCAM 4-track Portastudio, BOSS pedals and cheap Roland synths like the SH-101…” says Jesper remembering his teenage exploration of instruments. I’m sure that his earlier experiences with these 1980’s devices shape his retro/nostalgic designs. The most important aspect of Teenage Engineering’s approach is by far their obsession with minimalism with regard to their interfaces. Many of the buttons and knobs have a dual purpose and the organization is clear and helps people build a clear mental model. “Suppose you have an endless canvas to work on – the result is that you can’t even start. If your choices include everything, you’re not hungry anymore; you lose your appetite. Limitation is everything” Jesper explains about his minimalist design approach. Teeenage Engineering’s latest offering, the PO Modular looks amazing and exhibits all of the characteristics of a typical Teenage Engineering product – accessible, affordable, playful, portable. I’ll write about this more when I get my hands on one!